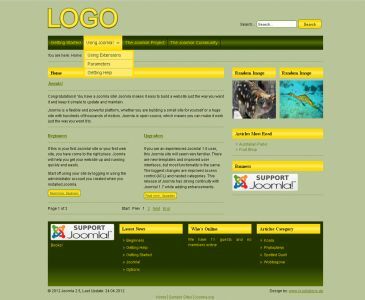 Yellow is a free, modern template for Joomla! 3.x in yellow and green. 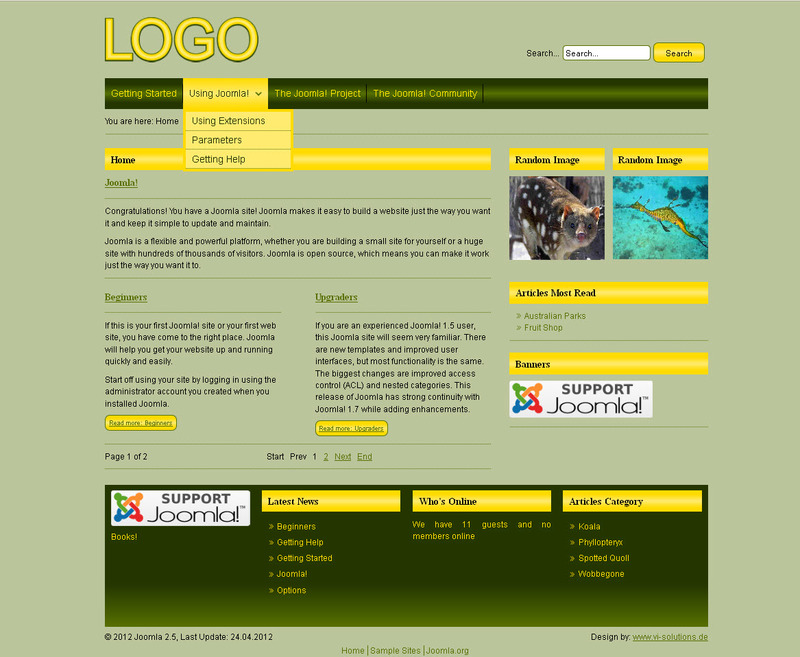 Module on the left and on the right can be used in a one column or a two column layout. Both layouts can alternate. Spacious module position beneath the content. The width of the modules you put in there will be adjusted to fit in.